⇒ NavigateHome ABOUT US – NA LINKS ARCHIVES – 2005 ASC Reports – 2007 ASC Reports – 2008 ASC Reports – 2009 ASC Reports – 2010 ASC Reports – 2011 ASC Reports – 2012 ASC Reports – 2013 ASC Reports – 2014 ASC Reports – 2015 ASC Reports – 2016 ASC Reports CALENDAR OF EVENTS – FBTL 2018 – Other Area’s Events in Our Region – Regional Events in and Around Texas CLEAN TIME CALCULATOR Committee Meetings – SUBCOMMITTEES – – ACTIVITIES – – H & I – – PUBLIC RELATIONS CONTACT US DOCUMENTS FOR PROFESSIONALS GROUPS – B.A.M.N. We meet at 1:00 PM on the same day as the Area Service Committee (ASC) meets and at the same location which is usually the first Sunday of the month unless the first Sunday falls on a holiday, then we meet the following Sunday. Our Area Service Committee meetings rotate between the groups. Go to the Home Page for the location of our Next Area Service Committee and Subcommittee meetings. The purpose of the H&I subcommittee is to carry the NA message of recovery to addicts who don’t have full access to a regular outside meeting. To help carry our message to a jail or prison you must have a minimum of one year clean Before going into a TDCJ facility you must submit an application to the volunteer services www.tdcj.state.tx.us to download the application and mail the application back to volunteer services. Once approved you must attend orientation. Once you have gone through training you can start sharing your experience, strength, and hope behind the walls. If you are interested in doing some very rewarding service work or know of any facility that would like to have a Narcotics Anonymous meetings or presentations please feel free to contact your groups H&I representative, and read the “hospitals and institutions service and the NA member” IP or contact the area H&I facilitator at the number listed below for more information or questions. 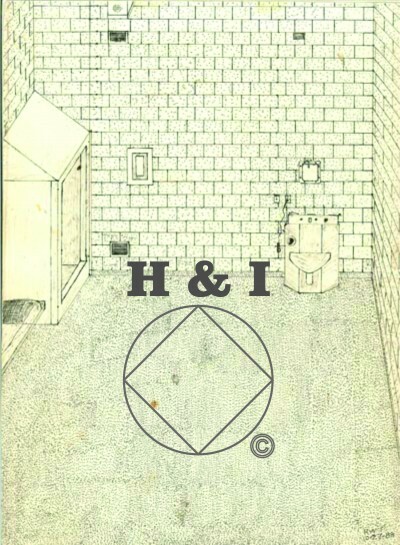 Comments or questions for H & I are welcome.